I arrived safely in London after a long day of travel (make sure you check am/pm when booking flights as a 9:40pm departure is quite a different experience when you were planning on a 9:40am departure for weeks. ugh) I’m tired and missing home and my kitchen this morning so I thought I’d share a favorite recipe from home. 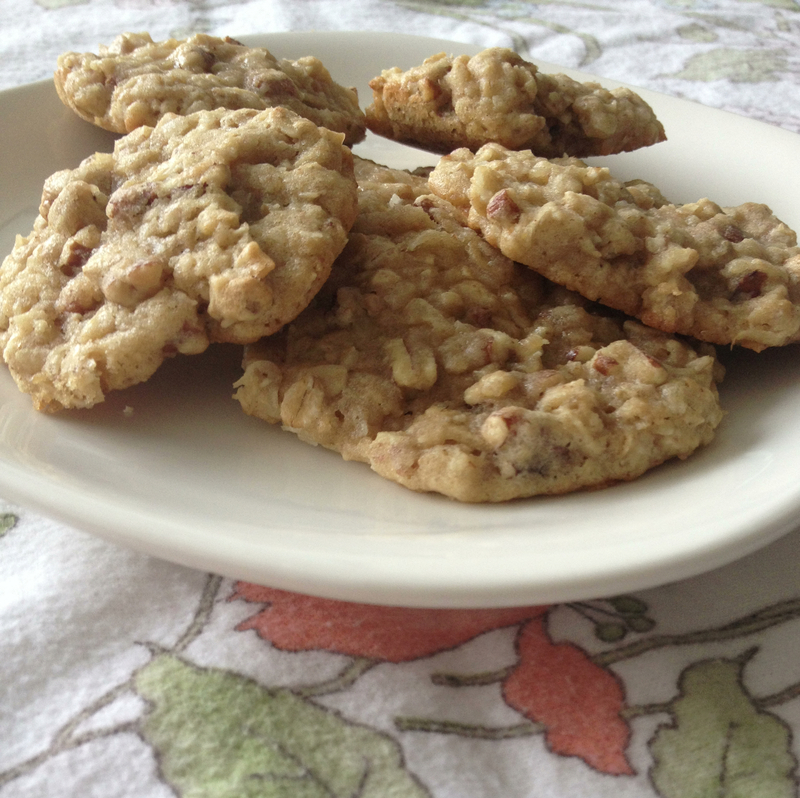 This is a dream cookie because it has everything you love about a soft oatmeal cookie with an added flavor kick from the coconut and pecans. It is a fabulous combination and I dare you to eat just one, especially if they’re hot from the oven and you have a glass of milk. YUM! love anything baked with oatmeal! Made these tonight and they were spectacular. They were a bit dry, how can I fix this next time?